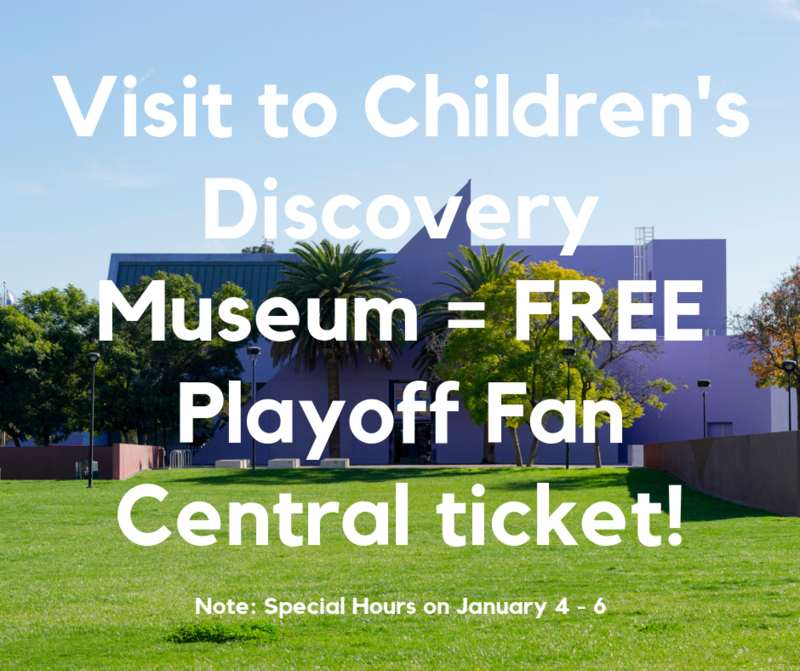 Come play at Children’s Discovery Museum of San Jose on January 4th, 5th, or 6th and get a free ticket for the Playoff Fan Central! The Museum will be open from 10am – 2pm on January 4 – 6 to accommodate concerts in Discovery Meadow. So come play at the Museum and then go to the Playoff Fan Central at the San Jose McEnery Convention Center with your free ticket! Find out more information about downtown logistics during the 2019 College Football Playoff National Championship!